KOTA SAMARAHAN: The First Malaysian Infantry Division must continue its policies in strengthening ties with the State government and also neighbouring country. According to the Commander of Eastern Field Command Lt General Datuk Stephen Mundaw, as one of the oldest infantries, the First Malaysian Infantry Division has increased the number of operations in the state, which involve the government and also the neighbouring country. “Close relationship with the State government is important as the 1st Division Infantry is involved with various of activities and programmes with the government in implementing service delivery to the people. 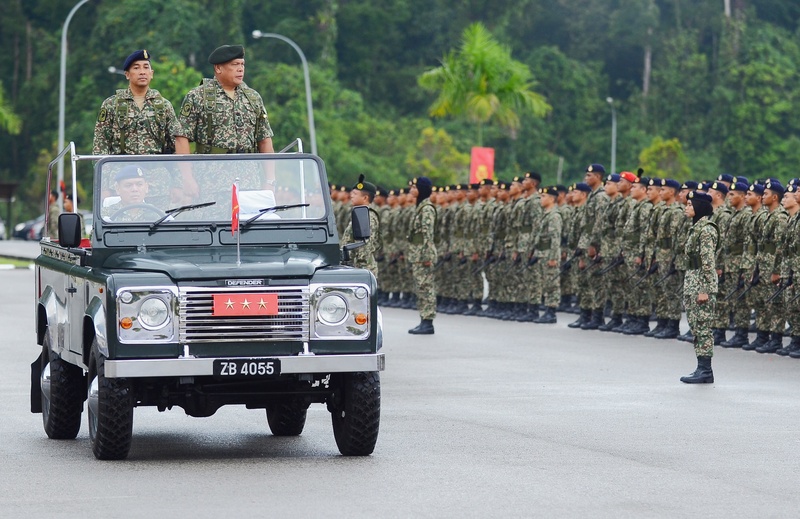 “Apart from that, the relationship with the neighbouring country will ensure the safety of the border as well as public safety,” said Mundaw during the 1st Malaysia Infantry Division Eastern Field Commander Appreciation Parade at Muara Tuang Camp here yesterday. He also pointed out that the infantry needed to improve its personnel training. He said that every officer and staff of the First Malaysian Infantry Division must uphold the military principle and work with responsibility. “Personally, I still think the First Division need to improve on the quality of training and everyone must fulfil their duty with responsibility and integrity, as it reflects the division’s performance,” said Mundaw, adding that all officers and staff must be proactive in order to improve the division’s standard. Mundaw: Vital to enhance ties with State gov’t and neighbour 0 out of 5 based on 0 ratings. 0 user reviews.